Where can I find a hair loss clinic in Wichita, KS? What are my options for hair restoration in Wichita? Is there a Vinci Hair Clinic for scalp micropigmentation in Wichita? Vinci Hair Clinics regularly receives questions like those above from the many men and women experiencing problems with hair loss in Wichita, Kansas. If you too are concerned about conditions such as male pattern baldness, alopecia or scars on the scalp from hair transplants, and are looking for a Wichita hair loss specialist for advice, Vinci Hair Clinic would be delighted to help. 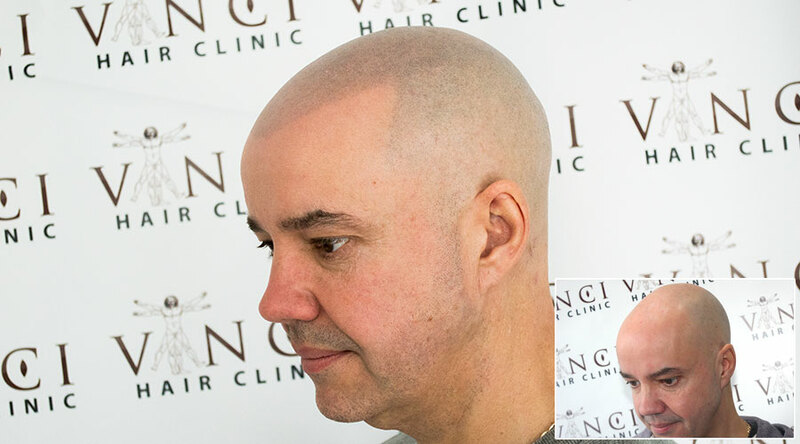 Whether you want to know about the availability of micro scalp pigmentation in Wichita or hair transplant costs in Wichita, Vinci Hair Clinic can provide you with honest advice and guide you towards the best hair restoration treatment for your needs. We are specialists in hair restoration treatments, with a worldwide reputation for clinical excellence and remarkable results. The Vinci Hair Clinic network extends through 14 countries, and increasing demand for our services has led to our opening four United States SMP clinics in Houston, Chicago, Miami and New York. If you are seeking hair loss treatment in Wichita, Vinci Hair Clinic Houston will likely be most convenient option, however you are welcome to select the location of your preference. Whichever Vinci Hair Clinic Wichita based clients choose to attend, they can feel confident knowing that our unique approach and advanced hair restoration treatments are second to none. Alongside our FUT/FUT hair transplants, the most requested Vinci Hair Clinic treatment for those from Wichita is MSP micro scalp pigmentation. Scalp pigmentation (hair simulation) is a non-invasive procedure which effectively camouflages areas of hair loss, allowing us to create the look of natural, short hair growth. Vinci Hair Clinic starts every client’s hair restoration journey with a free, no-obligation consultation. Wichita hair loss sufferers can join our friendly team for a confidential analysis of their condition, plus personalised hair restoration advice at any of our hair loss clinics. To arrange your hair loss consultation with Vinci Hair Clinic, call us on 1 844 948 4624 or complete our online contact form.